Paul Frank offers 60% Off Entire Site via coupon code "PAUL60". Free domestic shipping with orders over $50. Paul Frank offers 40% off via coupon code "MEMORIAL2012". 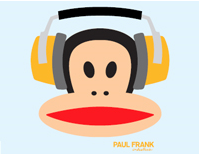 Paul Frank offers 30% off via coupon code "2DAYSALE". Free shipping over $50. Offer ends Apr 22. Free shipping over $50. Offer ends Apr 2. 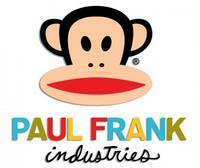 Paul Frank offers extra 30% off with coupon code STPATRICKS30. Excludes Sale and Bikes. Free domestic shipping with all orders. Paul Frank offers extra 25% off all accessories with coupon code ACCESSORIES25. Free domestic shipping with all orders. Paul Frank offers 30% Off most items with coupon code PRESIDENTSDAY (excludes bicycles and sale items). Paul Frank offers at least 40% Off select items during its New Year's Sale. Eyewear and bicycles are excluded. Paul Frank offers 30% to 67% off on selected apparel and accessories on its sale section. You will get extra 40% off via coupon code: JULIUS40.